Ross McCormack scored twice as Fulham thrashed their west London rivals QPR 4-0 in a one-sided derby at Craven Cottage. McCormack fired home his first from inside the box as the Whites raced into a three-goal lead by the 32nd minute of Friday night's Sky Bet Championship encounter - the striker adding to earlier strikes from Moussa Dembele and Ben Pringle. Rangers struggled to create openings during the entire game and manager Chris Ramsey was so fed up that he took-off Tjaronn Chery after 35 minutes and replaced him with Jamie Mackie. But the visitors' misery did not let up, with Rangers losing Mackie and Charlie Austin to injury before McCormack bagged his second from close range just after the hour mark. Yet it was clear after just three minutes, when Dembele rose unmarked to head home James Husband's cross, that one of these two sides was far more motivated than the other. After McCormack threatened to bag a second within four minutes, hitting the side netting after a superb passing move found him inside the box, Pringle made it 2-0 with a fine solo effort. A slack pass across his own penalty area from Alejandro Faurlin allowed Pringle to steal possession, shimmy his way past the last defender and then smash home his second Championship goal of the season into the bottom corner. 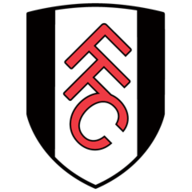 Fulham, in near-complete control, almost found a second when Husband's close-range effort from a tight angle was cut out, but McCormack made it 3-0 after a superb through-ball from Tom Cairney. Three minutes later, Ramsey removed Chery from a painful display and the attacker, who has done well for Rangers since joining in the summer, immediately stormed off around the pitch and down the tunnel, as Rangers fans cheered his name. 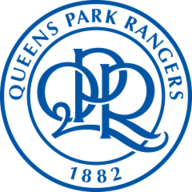 He did not re-emerge from the tunnel and neither did Mackie, but Paul Konchesky did and had arguably the only real threatening chance for QPR in the second half when he forced Andy Lonergan into a diving save with a header. McCormack had a timid shot easily saved by Green before Austin limped off, but the Fulham striker bagged his fourth of the campaign when Ryan Fredericks' cross was deflected onto the crossbar and fell back to a waiting McCormack. Pringle, Cairney and Ryan Tunnicliffe all had further chances as Fulham kept the heat on for a fifth, but they will not mind a second successive thrashing of their rivals at home following a 6-0 win at the Cottage last term. "It was the best performance since I've been here and the most pleasing one," Symons said. "I wanted to make sure we had the bragging rights come tomorrow morning and Fulham fans will be crowing after that one - and rightly so. "I was waiting for everything to click and it did tonight. We will need to kick on from this and make sure this sort of performance becomes the norm and we start moving up the table." "Hopefully it's a bad day at the office," Ramsey said. "It was a poor performance all round. There were a lot of individual errors that caused us more problems than we needed right from the start. We suffered from making some very basic individual errors in defence and I don't know any team that can continually deal with that. "It's not tactical - a ball gets crossed into the box, you've got three against one and the one scores. We had the ball on the edge of our box, passing it around and the guy scores, it's not about formations is it? It's bad play."